Not all dietary fats will make you fat. Here's the latest word on healthy fats that can help support your health and burn extra blubber! Once deemed the ultimate health pariah, dietary fat has mercifully experienced a renaissance. Research continues to show that, without it, you have a fat chance (pun intended) of reaching optimal health. And for the physique-minded, there are some fats that appear to improve fitness and help obliterate that doughy stuff covering up your six-pack. These three groups of fats, which can be obtained in the grocery store and the supplement counter, are not to be taken lightly. But these "phat" fats help gym rats in other ways, too. Studies conducted at Washington University School of Medicine (St. Louis) suggest that EPA and DHA have anabolic properties in that they encourage muscle protein synthesis. * Further, a 2014 study in the "Journal of Sports Science & Medicine" discovered that lifters who supplemented with these omega-3s experienced less muscle soreness in response to training. Studies suggest that EPA and DHA have anabolic properties in that they encourage muscle protein synthesis. Research also suggests that EPA and DHA can improve blood flow to muscles during exercise, which could bring about improvements in performance. * Through their role in supporting a healthy inflammation response and fending off insulin resistance, as well as altering the metabolism, higher levels of EPA and DHA have been linked to less body fat accumulation, thereby helping to improve your buff-to-blubber ratio. Besides the whale blubber enjoyed by the Inuit, fish species with the most EPA and DHA include herring, rainbow trout, Arctic char, sablefish, anchovies, salmon, mackerel, and sardines. You can also find some of these fatty acids in grass-fed meats, organic milk, omega-3 enhanced eggs, and certain fortified foods. 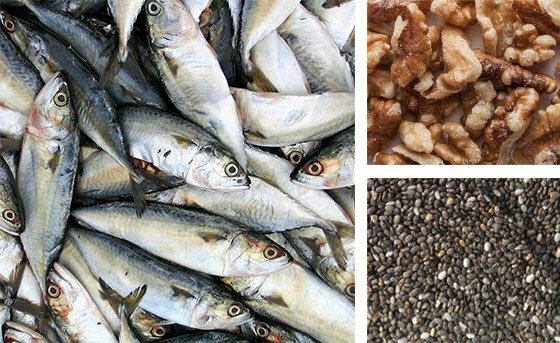 Some plant foods such as walnuts, flax, hemp, canola oil, and chia contain omega-3 fat in the form of alpha-linoleic acid (ALA), which can be converted by the body to EPA and DHA, but science shows that this conversion is fairly low. These foods can provide an added omega-3 boost and deliver many other body-friendly nutrients, but fish remains the most potent source of EPA and DHA. Few people eat enough fatty fish, making a fish oil supplement a good insurance policy for many fitness enthusiasts. When comparing supplements, don't just look at the total fish oil content. Whether you choose a pill or liquid, find a product that contains at least 500 mg combined EPA and DHA on the nutrition facts panel. Taken once daily, this will give you the optimal amount of omega-3s. If you don't like the fishy taste, opt for those with natural flavors like lemon or orange. Fortunately, contamination isn't a concern. Consumerlab.com, which conducts independent supplement testing, didn't find significant amounts of mercury or other contaminants in a wide range of omega-3 supplements they put to the test. CLA appears to take part in a multi-pronged attack on flab by reducing synthesis of fat cells, altering genes involved in fat accumulation and supporting insulin sensitivity. * CLA can also increase the rate at which you burn fat during exercise, which can have beneficial impacts on body composition and raise muscular endurance during workouts. Accumulating evidence suggests that CLA, an omega-6 fatty acid, is proving to be an important ally in the battle of the bulge. The primary dietary sources of CLA are meat and dairy. 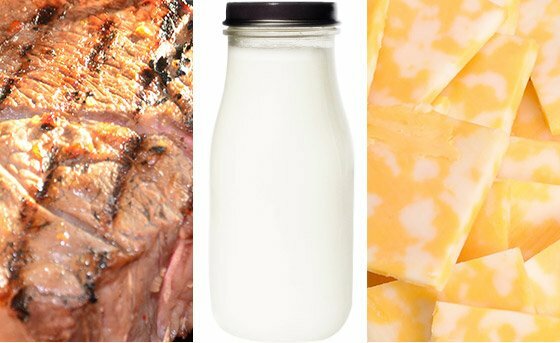 Sadly, a major consequence of the industrialization of our food and the push toward lower-fat animal-based foods is that the amount of CLA found in milk and steak has diminished greatly in recent decades. You can fight back by splurging on pasture-raised dairy and meats. Researchers at Newcastle University in the United Kingdom determined that milk from cows raised using organic methods that included pasture feeding had 60 percent more CLA than milk from conventionally reared cattle, which includes stuffing them with plenty of grain. Dairy sourced from sheep and goats—especially if the animals grazed on grass—has also been shown to deliver healthy amounts of CLA. Because of its scarcity in the modern food chain, supplementing with CLA is the best way to help give your physique a glance-worthy appearance. Try taking 1-3 grams of CLA twice daily with meals. Keep in mind that it'll likely take a few weeks before you witness any benefits. Among the types of CLA looked at in research, the cis-9, trans-11, cis-12, and trans-10 forms are the most intensively studied. Who thought you could eat fat to burn fat? It may sound paradoxical, but some evidence suggests that medium-chain triglycerides (MCTs) can enhance the body's fat-burning potential and lead to improvements in body composition (ratio of fat to lean body mass). Here's an example: An "American Journal of Clinical Nutrition" study that administered 4-5 teaspoons of medium-chain oil or olive oil daily to subjects for four months determined that those consuming MCTs lost more bodyweight and fat mass than those who consumed standard olive oil. MCTs can enhance the body's fat-burning potential and lead to improvements in body composition. The unusual chemical structure of MCTs allows them to be absorbed from the digestive tract intact where they're used for energy production in the liver, meaning it's less likely they'll be stored as body fat compared to other dietary fats. Butter, coconut oil, and red palm oil are going to be your primary dietary sources for MCTs. 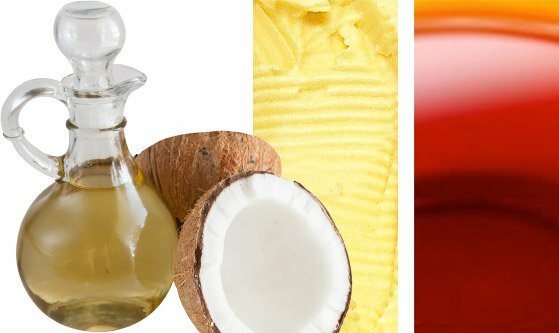 Both coconut oil and red palm oil can be used for cooking in place of other oils, such as for sauteing meats and baking. As a dietary supplement, take 1-2 tablespoons purified liquid MCT oil 2-3 times daily. It's easy to blend MCT oil into protein shakes and even salad dressings. It's vital to remember, however, that no amount of MCT is going to make up for a lousy diet and turn a donkey into a racehorse. If you don't eat clean overall, the chances of shedding the fat—supplementation or not—are poor.